If you’re a foodie + an avid podcast listener, chances are you’ve become a fan of The Atlanta Foodcast over the past few months. If you’re not already familiar with the fun listen, The Atlanta Foodcast is a podcast that features stories from local chefs, culinary entrepreneurs + people making Atlanta a great city for eaters. Created and hosted by Ben Getz, two of our most favorite episodes (if we do say so ourselves) have just been released! Elizabeth Feichter, Co-Founder of Atlanta Food & Wine Festival, and Chef Luca Varuni, Maestro Pizzaiolo of Varuni Napoli, both sat down with Getz and revealed never-before-heard stories and anecdotes. From discovering how AFWF came to be straight from Feichter herself to hearing stories from Chef Varuni’s childhood that shaped him into the Chef he is today, both episodes leave you hungry to learn more about the exceptional people of Atlanta. 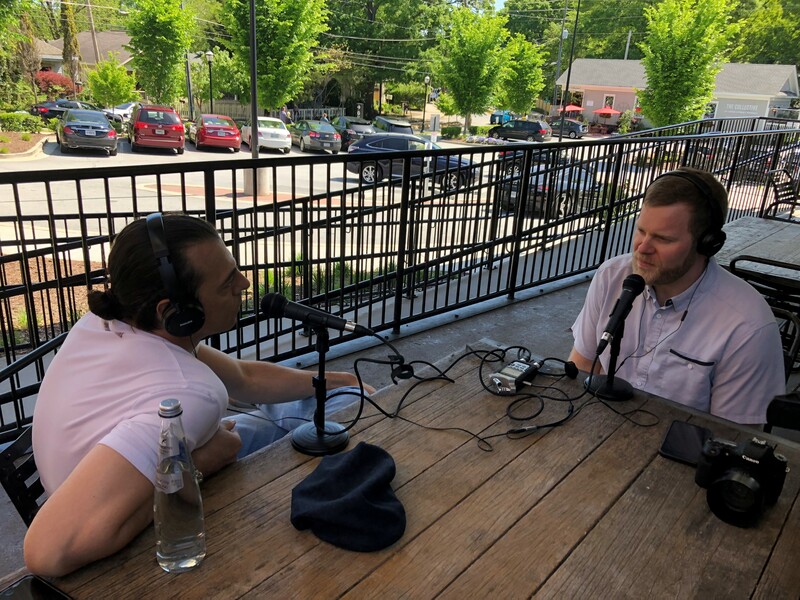 Take a bite out of The Atlanta Foodcast and check out Elizabeth Feichter’s episode on AFWF here + Chef Luca Varuni’s episode on Varuni Napoli here. Never miss an episode – you can subscribe to The Atlanta Foodcast on Apple Podcasts, Stitcher, Google Play Music or SoundCloud.